As Promised - 20 Free Redeem Codes for Two of My iPhone Apps. US Only. As promised, here are the 20 free redeem codes for two of my popular apps. There codes are for the iPhone. Please read this important note first: To redeem a code, go to the home screen of the App Store and click "Redeem" in the upper right hand corner. Enter your redemption code and sync your iPhone. Make sure to do so immediately as promo codes do expire and cannot be replaced if this occurs. Sorry friends around the globe, but the codes only work in the US App Store - Apple's policy. Also note that the process for redeeming a code is Apple's standard process, not ours. This is my flagship app - packed with general digital photography info. This app is totally about lighting - indoors and out. Happy Halloween. An iPad Treat! 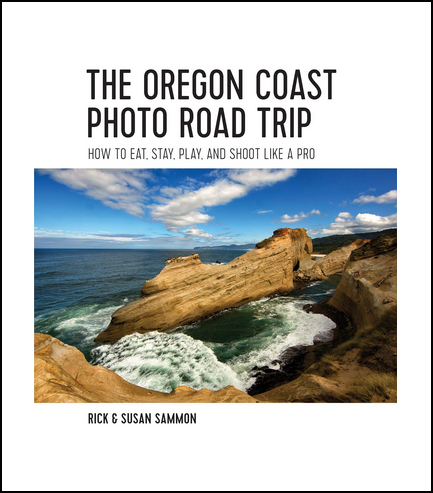 As a treat, I am giving away 10 free redeem codes for the iPad version of my flagship app, Rick Sammon's 24/7 Photo Buffet. Please read this: To redeem a code, go to the home screen of the App Store and click "Redeem" in the upper right hand corner. Enter your redemption code and sync your iPad (in this case). Make sure to do so immediately as promo codes do expire and cannot be replaced if this occurs. Sorry friends around the globe, but the codes only work in the US App Store. Also note that the process for redeeming a code is Apple's standard process, not ours. Explore the light - and enjoy the app! P.S. It's not yet listed on the B&H Event Space site, but I am giving a talk on apps in the Space on December 13th from 3 to 5 PM. Rick Sammon's Butterfly Wonders – my interactive iPad app for nature lovers and close-up photographers, is here! The interactive iPad app features my favorite photographs of living butterflies – exotic species from around the world. To celebrate the app, I am giving away 10 free redeem codes. Scroll down for info. Co-developed with wildlife photographer Juan Pons, the app was designed to convey the beauty of the butterfly, and to share with butterfly enthusiasts – and nature photographers – fascinating facts about these amazing creatures. Fifty-five photographs, each accompanied by detailed camera/exposure information, illustrate the Butterfly Wonders section. To help photographers capture their own beautiful close-up pictures of butterflies, Butterfly Wonders includes a comprehensive Photographing Butterflies section. Twenty-eight images illustrate my tips, trick and techniques. I was going to produce a separate app on close-up photography, but I decided to include this how-to information as a bonus in Butterfly Wonders. Butterfly expert Alan Chin Lee supplied the scientific information, as well as fun facts, for each butterfly (and moth). For example, did you know that once a butterfly emerges from its chrysalis it never grows any larger? And did you know that silk moths have no mouth with which to feed? In the Emersion section, the app illustrates one of Mother Nature’s miracles of transformation – an animal that starts out life as a crawling sack of goo and changes into a beautiful flying flower. The app also takes the viewer on a visual journey, via the Migration section, to Sierra Chinqua in Michoacan, Mexico, where I photographed in a colony of more than 30 million monarchs during their annual migration. In this app, Dr. Thomas Emmel, a world-renowned butterfly expert, writes about this journey in a beautiful essay. Both Dr. Emmel and Mr. Lee were with me in Sierra Chinqua when I photographed the monarchs. The butterfly, with its amazing metamorphosis from a crawling caterpillar into a vivid and graceful winged creature, symbolizes the infinite potential within every living creature to evolve: from darkness into light, ugliness into beauty, and lethargy into activity. Rick Sammon's Butterfly Wonders, and the life of a butterfly, is a coming-of-age-story in the most profound sense. As an exotic metaphor for transcendence and renewal, the butterfly has been celebrated in art, literature, dance, fashion, myth, and spirituality throughout history and in cultures around the world. Now, the butterfly is celebrated in the first iPad app on living butterflies. How did I get so many close-up shots of butterflies? Well, I captured the butterflies with my Canon digital SLR cameras, Canon macro lenses and Canon ring lights. The ability to see every shot immediately on my camera's LCD monitor allowed me to make critical exposure and lighting adjustments on site. That was of the utmost importance, due to subject movement, changing lighting conditions and the reflectivity of some of the butterflies. Click here to see my other apps. Note: To redeem a code, go to the home screen of the App Store and click "Redeem" in the upper right hand corner. Enter your redemption code and sync your iPad (in this case). Make sure to do so immediately as promo codes do expire and cannot be replaced if this occurs. Sorry friends around the globe, but the codes only work in the US App Store. Also note that the process for redeeming a code is Apple's standard process, not ours. That's me on the left and Alan on the right. P.S. Is this cosmic or what? I found this butterfly chair shortly before the app was approved!